Amiga Engineering™ Pty Ltd has spent a great deal of time and effort upgrading its capacity to produce a full and extensive service to the engineering community. Stringent control of delivering a quality product on time is the main stay of our business. 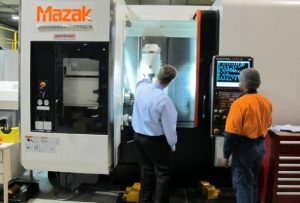 1 CNC Mazak Intergrex i200s 5 axis simultaneous machining. 1 CNC Machining Centre 4300(X) x 1500(Y) x 2000(Z). 1 CNC Okuma 600H Twin Pallet Machining Centre 600(X) x 600(Y) x 1200(Z) x 360(B rotary axis). 1 CNC Okuma 500H Twin Pallet Machining Centre 500(X) x 500(Y) x 1000(Z) x 360(B rotary axis). 1 CNC Machining Centre 3200(X) x 1400(Y) x 510(Z). 1 CNC Machining Centre 1600(X) x 800(Y) x 610(Z). 1 CNC Machining Centre 1200(X) x 600(Y) x 500(Z). 1 CNC Machining Centre 1000(X) x 500(Y) x 300(Z). 1 CNC Daewoo Lathe 700 Swing x 550 Turning Dia x 1050 BC. 1 CNC Okuma Lathe 700 Swing x 650 Turning Dia x 1050 BC. 1 CNC Daewoo Lathe 795 Swing x 640 Turning Dia x 1575 BC. 3 CNC Okuma Lathe 500 Swing x 450 Turning Dia x 750 BC. 2 CNC Okuma Lathe 300 Swing x 250 Turning Dia x 550 BC. 1 CNC Horizontal Borer 2000 x 1000 x 1500 + 780. 1 CNC Horizontal Borer 1500 x 1000 x 1000 + 760 Quill for gun drilling. Welding TIG MIG Pulse MIG, Sheetmetal, Guilotine, Hydrobend, Spotwelding, Rolling. This new machinery and the vast range of existing machinery, Amiga Engineering™ Pty Ltd is confident and capable of handling all tasks requested. 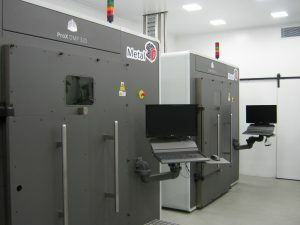 Amiga Engineering™ Pty Ltd uses a Full 3D Cad Cam package (Drafting and Tool-path generation) and is at cutting edge in this technology and is extremely competitive in one off complicated items to simple production runs. Petrochemical Industry across Australia and Asia. Above are only a few examples of what we have manufactured and machined. We hope that in the future we can be of service to your Company.